When it comes down to plumbing matters, knowing what type of plumbing is required to fix the problem is just as important as choosing the right person or company to do the job. First consumers need to know that there are different types of plumbing for different types of structures and that plumbing is categorized, then sub-categorized for different systems, according to building code specifications. All plumbing systems have different needs and demands for maintaining them. The three main categories or types of plumbing are residential, commercial, and industrial. Plumbing systems can further be broken down as institutional and light industrial plumbing systems. 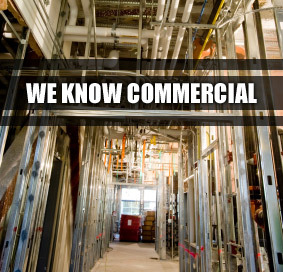 In addition, there are subtypes of commercial plumbing. Office buildings, salons, restaurants, strip malls, gas stations, movie theaters, and shopping centers are all considered subtypes of commercial plumbing. Installing, servicing and maintaining plumbing systems require special skills. For this reason it is important to hire a certified professional plumber for all your plumbing needs. Hiring a certified professional plumber, and not just a plumber, is important because if a new fixture, an appliance, or new equipment malfunctions, the manufacturer will honor the warranty when the installation is done by a certified contractor. On the other hand, if the plumbing is done by an non-certified contractor, manufacturers are not obligated to honor their warranties. They could argue that the malfunction was the result of poor plumbing services and not the result of a defected or poorly designed product. Hiring a certified contractor to meet your commercial needs is highly essential due to the tremendous demands on commercial systems. 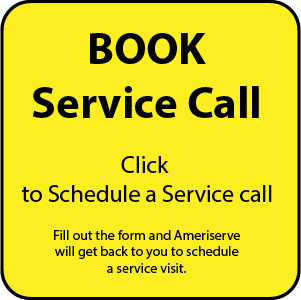 AmeriServe uses the best products and services to meet all of your commercial or sub-commercial plumbing needs. We are a well established company providing professional commercial plumbing services in Easton and the surrounding areas since 1995. In addition, we also provide emergency services 24/7. 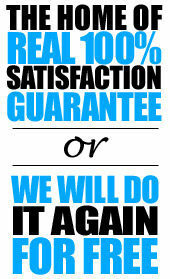 We guarantee our work. 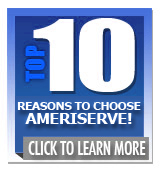 AmeriServe offers a 100% guaranteed satisfaction on all of our contracts. If a customer is not completely satisfied with our service, we will do the job over for free.